The history of the Southern Maryland Chapter of Jack and Jill began with the quest of one mother, Delecia “Dee” Reed Eller. In 2002, shortly after moving to Calvert County with her husband Roscoe and 3 children Maya, Reed and McKenzie, Mrs. Eller began searching for a chapter of Jack and Jill. As a legacy member of Jack and Jill, Dee was very familiar with the Jack and Jill organization and wanted her own children to experience the fun, friendships and opportunities that being a member of Jack and Jill had afforded her as a child. After many calls to Jack and Jill friends and family in Colorado as well as reaching out to the national organization, Dee was finally introduced to Mrs. Deborah Riley, the President of the Prince George’s County Chapter of Jack and Jill. After meeting with Mrs. Riley about using her legacy status to join the Prince George’s County Chapter of Jack and Jill, Mrs. Riley (who grew up in Southern Maryland) suggested that Dee might want to start a chapter of Jack and Jill in Southern Maryland. Dee naively said “That sounds like a great idea.” In 2003, Dee wrote to then Jack and Jill National Vice President, Mrs. Alice Peoples, and was given permission to form and Interest Group, known as the Chesapeake Bay Moms. Calvert, Charles and St. Mary’s Counties (known as Southern Maryland) are predominantly rural areas with a small but growing minority population. Most of the life-long residents of these counties were unfamiliar with Jack and Jill. So what do you do when you are new to Southern Maryland, you know very few people and the people you do know have never heard of Jack and Jill? You become an active campaigner for the organization. Dee started “chatting up” moms at grocery stores, the library and at the local schools. She handed out flyers at churches and local festivals and she ran ads in community newspapers. In other words – SHE BUGGED THE HECK OUT OF EVERYONE!!! She held meetings where NO one showed up, often times Dee and her kids sat around the Calvert library eating cookies and coloring waiting for someone to attend the meetings. Then, finally through word of mouth, interest started to grow. Moms began to answer the newspaper ads and began calling her on the phone asking about joining the group. By August 2005 the Chesapeake Bay Moms had finally grown to the required number of 15 members to become an Official Provisional Group of Jack and Jill!!! After a lot of hard work and many struggles the group grew to 26 and was formally installed as an official chapter of the national organization on November 12, 2006. The names of the 26 Charter members include: Star Benjamin, Desney Bowen, Virginia Dennis, Delecia Eller, Kamila Fenwick, Rane Franklin, Vera Glover, Earlene Greene, Nadine Hunt, Michelle Johnson, Angela Jones, Jean Jones, Stephanie Jones, Stephanye Maxwell, Valinda Nwadike, Gwendolyn Phillips, Kim Pope, Karen Prout, Deidre Reid, Marissa Rivero, Lisa Smith, Gwen Spriggs, Rachel Thomas, Tamika Tremaglio, Dawn Tucker and Eunice Washington. Also, the History of the Southern Maryland Chapter of Jack and Jill would not be complete without mentioning all the hard work of Mrs. Deborah Riley who worked tirelessly in helping the Chesapeake Bay moms navigate the chapter establishment process. The 26 chartering mothers of the Southern Maryland Chapter made tremendous sacrifices and worked untold hours so that children all across Southern Maryland would have the opportunity to become members of an organization dedicated to their educational and cultural growth. 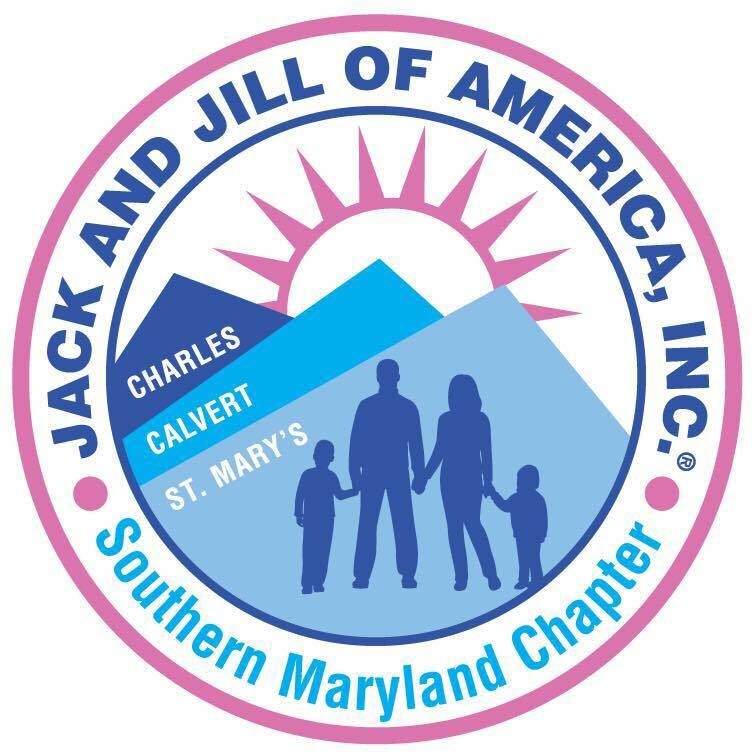 In May 20, 2012, our chapter was proud to bring in eight new moms into our Jack and Jill family and as the Southern Maryland Chapter of Jack and Jill we remain committed to making a difference in the lives of not just our families but to all families.